This is a book that could interest a wider audience than the title suggests as it covers a variety of subjects. 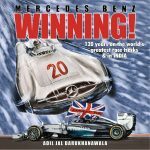 Like Volume I, published in 2008, it is written by three very experienced Model T enthusiasts. 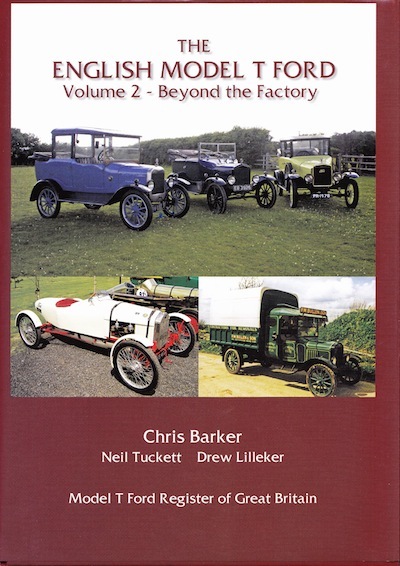 Volume I covered all the Model T Fords that were produced in the Trafford Park factory up until 1927; this book looks at the very different types of bodywork that were put on the bare chassis by those other than the factory. It also deals with the many uses the Model T Ford was adapted for and it is about the cars, commercials, and the engines. It is worth bearing in mind that having a body built on a Model T Ford chassis was not cheap, as Fords did not like selling the chassis alone. 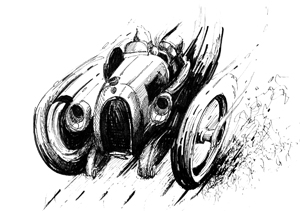 For example, they priced the chassis in 1911 at £180, whereas the basic T Runabout was £170. Henry Ford was only interested in building “cars for the masses,” he left the coachbuilders to do the variations and these were endless. Coachbuilt cars came in many shapes and sizes. Scott Brothers of Rochdale specialized in modifying the Model T as did Shinnie of Aberdeen and Cundell and Dungay of Tunbridge Wells. Oakley Limited of London produced a limousine with division, Offord and sons a “sporting torpedo. Smart and speedy” and Alberford Cars of London built a very neat doctors coupe. There was one model (coachbuilder unknown) that was a full 4-seat tourer but with a folding top that covered only the front seats. Many different bodies were built for special use on both the car and the longer commercial chassis. The Salvation Army had a very smart van with two round side windows. There were those that could be converted from a van to a car, for family use at the weekend—Magnet coachbuilders claimed it only took three minutes to do their conversion. There were vans for fish and chips, roadside refreshments, tankers for liquids, travelling shops, hearses and even a 6-wheel conversion and an articulated tractor unit. Versions of the T were bodied as busses and charabancs of all sizes, fire engines, motor caravans and conversions for agricultural use as a light tractor. My favourites are the advertising vehicles, in the shape of a shoe, a tin of cocoa, a house, electric light bulbs, tooth paste and many more. Some were converted to railcars, as well as racing and sports cars. There is along and absolutely fascinating section of 50 pages on accessories for the Model T. There were many firms making replacement radiators so that the car did not look like a Model T Ford. There were amazing things to improve the car, from the engine to the rear light. All sections are highly illustrated with mostly period illustrations and advertisements. I found it a fascinating book and well worth its money. 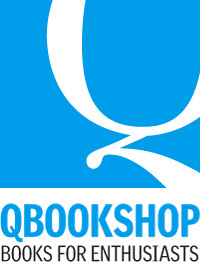 Copyright 2014, Michael Ware (speedreaders.info).